RICK WARREN’s/ROBERT SCHULLER’s “NEW REFORMATION” and “GOD’s DREAM” Rick Warren’s New Reformation and his God’s Dream – Global P.E.A.C.E. Plan are strikingly similar to Robert Schuller’s proposed New Reformation and his God’s Dream plan to “redeem society”. The only difference between the two Plans? Schuller proposed his twenty years earlier than Warren proposed his.Schuller states that ‘God’s Dream’ is to redeem society. No where in the Bible are we called to “redeem society” as a whole. We are to preach the Gospel to lost souls, who will themselves be redeemed if they believe it, and indirectly, as more and more souls are redeemed, society will be the better for it. “I am not fully forgiven until I allow God to write his new dream for my life on the blackboard of my mind . . .” Robert Schuller, 1982 (note: So much for the atoning work of the Cross and the Holy Blood that Jesus shed there for the remission of sins! Schuller states that he is not FULLY FORGIVEN until . . .! ‘Until’ anything that involves my own efforts or dead works - - is a heresy! “So people interested in being a new kind of Christian will . . . want to find out how they can fit in with God’s dreams actually coming true down here more often.” Brian McLaren, 2007 Warren Smith lists some New Age/Emergent Church leaders who all use the term “God’s Dream” in their statements, and can be found on pages 94, 95 of his book, A Wonderful Deception: Erwin McManus, Bruce Wilkinson, Shane Claiborne, Leonard Sweet, Sri Chimnoy, Desmond Tutu, Sun Myung Moon, Wayne Dyer, and Oprah Winfrey. 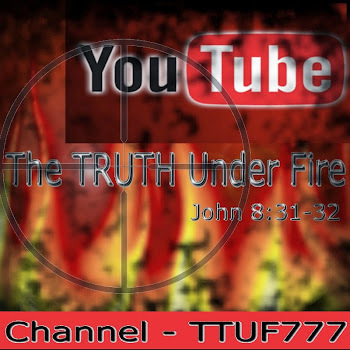 (note: for any who’ve yet to understand what the Emergent Church stands for, please visit these sites of ours: The TRUTH Under FIRE, and FROM the MIND of FIRE, and in their respective browsers type “emergent” and follow the links found there to various articles. You will find the following titles most revealing: Invasion of the Body Snatchers by Anne Kisly; Triumphant But Tragic Trojan & Holy Relics by James Fire. The link to FROM the MIND of FIRE can be found on TTUF. There are three pages worth of links @ FtMofF for Emergent Church articles). If any claim that they are following ‘God’s Dream’ (what is a dream [other than those we experience during sleep] if not a vision, or goal, plan or purpose?) it had better line up with the Word of God, which explicitly reveals God’s vision and plan for the ages and for humanity as a whole; otherwise its worthless and completely wrong! Warren Smith states: “[It] seemed that one of Rick Warren’s unstated purposes was to mainstream Robert Schuller’s teachings into the more traditional “Bible-based” wing of the Church. “Knowing that Bernie Siegal is a New Ager didn’t make this statement any less true than if I had found out he was the world’s best Christian doctor. 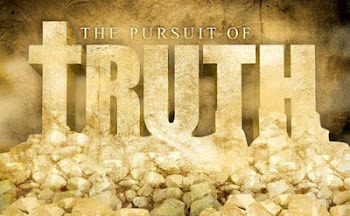 Real truth is truth as long as it’s biblical, no matter what the source.” The term ‘spirit guide’ is nothing more than a euphemism for a demonic spirit; for any that believe that the Bible is the Truth, this indisputable fact reveals that Mr. Thurston’s statement is in line with what the Bible says regarding spiritual teachings coming from satanic sources (see 1 Tim 4:1), but no “matter what the source”, truth is truth?? Satan is known in the Bible as “the father of lies” (see John 8:44). How can we take anything Satan might say as ‘truth’? Author George Mair wrote a book that praises Rick Warren and Saddleback Church; Mr. Mair attended Saddleback for many years, and contributed financially to it as well. In the book, A Life with Purpose: Reverend Rick Warren: The Most Inspiring Pastor of Our Time (April, 2005), he says the following: “The numbers speak for themselves. The Church Growth Movement [CGM] has been wildly successful in Southern California . . . as well as in the rest of the country. Which prompts us to ask: what are the roots of this powerful movement? Note: Where and when is the church commanded by the Head of the church, the LORD Jesus Christ to conceive of plans to make the church grow, and get big? We are told to preach the Gospel, and that it’s the LORD that adds daily to the church such as should be saved (Acts 2:47). The only picture we have of the church getting enormously (and unusually big because of mutation) is in the parable of the mustard seed that grows into a tree – the mustard seed grows into a shrub only about 2 – 3 feet in height. When it becomes far larger than it should (tree sized) the fowls of the air are able to lodge in it; “fowls” biblically are a type for evil spirits, i.e. demons! See Mat 13:31-32) Again, who and what gave birth to this movement in which Rick would play such a vital role?” Mair answers his own question: “Reverend Norman Vincent Peale is, to many, the most prophetic and moving New Age preacher of the twentieth century. AN EMERGENT MUTATION – We here at T.T.U.F. have already submitted an article about a proposed Department of Peace which may become an integral part of our Federal Government; Rick Warren himself has a ‘Plan’ of sorts as well, a P.E.A.C.E. Plan. Many conjecture that these two will dovetail to form a union between a Governmental authority and a Religious one. Yet one needn’t conjecture about such things, there is already a link between Government and Religion for the establishment of a global peace plan . . .
From Crossroads Ministries we have the following link that details this ‘Plan’ and how it’s being ratified by none other than the United Nations: Rick Warren's P.E.A.C.E. Plan & the UN Millennium Goals "P.E.A.C.E. is an acronym that stands for 'Plant churches, Equip servant leaders, Assist the poor, Care for the sick, and Educate the next generation,' Warren said. The emphasis calls for church-based small groups to adopt villages where spiritual emptiness, selfish leadership, poverty, disease, and ignorance keep people from experiencing the kind of life God wants them to have, he said. All noble causes to be sure, but I have a hard time finding such mandates in the pages of scripture (excepting "plant churches"), particularly the Great Commission to go forth and preach the gospel to all nations, and make disciples of Jesus Christ (see Matt 28:19-20). Many in the Emergent Church have tried to mutate the Gospel into “healing the world and all of its social ills” but such a mandate is conspicuous by its absence in the pages of the Holy Bible. We will see what Rick Warren believes about the Gospel later. Who has Rick Warren enlisted to assist him in this endeavor and to teach his congregation there at Saddleback? Two men: Bruce Wilkinson (“Prayer of Jabez”) and Ken Blanchard (co-founder of the Lead Like Jesus organization; author of The Minute Manager). Rick Warren described how the first “E” in his P.E.A.C.E. Plan stood for “Equip leaders”. He informed his congregation that Blanchard had “signed on” to “help train leaders” around the world. NEW AGE/NEW SPIRITUALITY PALS – Two weeks after Blanchard had “signed on” to help Rick Warren, Warren himself appeared with Blanchard at the Lead Like Jesus Celebration in Birmingham, where he stated that they were working together on the PEACE Plan. Ray Yungen, author of many books and a contributor to Lighthouse Trails Publishing was concerned when he learned from George Mair’s book on Rick Warren, that Ken Blanchard would be helping him in his PEACE Plan. Blanchard (who had personal ties with Norman Vincent Peale), Yungen noticed, often provided endorsements for New Age books and organizations; he had written many forewords to these books. How could someone who failed to discern the content of New Age materials, be an effective teacher on how to lead like Jesus? What are some of these New Age books that Blanchard endorsed? The Seven Spiritual Laws of Success by Deepak Chopra and What Would Buddha Do at Work? Also Jim Ballard’s book Little Wave and Old Swell (a longtime friend and business associate of Blanchard’s), who also is a devotee of the late Hindu Guru Paramahansa Yogananda. Blanchard writes the forewords to both the 2004 and the 2007 editions of Little Wave and Old Swell which is a book for “people of all faiths”. The message of that book is foundational for the New Age teaching that “we are all one because God is in everything and everywhere.” Why would a self-professing Evangelical Christian like Rick Warren choose a New Age sympathizer like Ken Blanchard to train people to ‘lead like Jesus’? Which Jesus would he be training people to follow? If these New Age books he’s endorsed and produced forewords for are any indication, it would seem that this would be ‘another Jesus’ and ‘another Gospel’. Ken Blanchard in July of 2005 stated on his Lead Like Jesus web site that his New Age endorsements were problematic, and he made a promise that he would try to exercise better discernment and that a discernment ministry (Watchman Fellowship) would assist him in this. Watchman Fellowship later announced that they believed Blanchard to be capable of remaining at the helm of the Lead Like Jesus organization. In January of 2006 Blanchard endorsed yet another New Age book, Jon Gordon’s The 10 Minute Energy Solution and he quotes the likes of A Course in Miracles, Wayne Dyer, Marilyn Ferguson, Paramahansa Yogananda and Deepak Chopra, Marianne Williamson and Gary Zukav. Why would such a man be in charge of an organization like Lead Like Jesus where he is expected to train and instruct other Christians? Why would Rick Warren seek out such a man to partner with him in his own PEACE Plan project? Blanchard continued in his New Age endorsements and (new) forewords for such books as Jim Ballard’s Little Wave and Old Swell as well as The Secret; additionally he shared a platform with Wayne Dyer, John Gray, and Mark Victor Hansen (all New Age leaders and teachers). Warren's Endorsement of New Spirituality? In this presentation, Ray Yungen states that Rick Warren endorses the likes of Brother Lawrence (a practitioner of mystic ‘Christian’ meditation) in The Purpose Driven Life; as well as this, Rick Warren endorses Dan Kimball, one of the foremost leaders of the Emergent Church, and wrote the foreword to his book, The Emerging Church. MORE EMERGENT/NEW AGE PALS: HOW SWEET IT - - ISN’T! He also endorsed, according to A Wonderful Deception (on both the front and back cover) Emergent church leader, Leonard Sweet’s 1999 book Soul Tsunami: Sink or Swim in the New Millennium Culture where Sweet also speaks of “God’s dream”; they shared the same platform during a 1995 The Tides of Change presentation as well. Their working relationship was further enhanced when they co-led two highly publicized small-group workshops (called ‘Wired’ whose theme was “Prepare your church for spiritual growth and connectivity”) in 2008 that were held in Atlanta, Georgia and at Warren’s Saddleback Church! What was Sweet saying at these workshops? “The power of small groups is in their ability to develop the discipline to get people ‘in-phase’ with the Christ consciousness and connected to one another (emphasis added).” The term “Christ consciousness” is implicitly a New Age term. Apparently Rick Warren had no problem with this as he invited Sweet to Saddleback to speak. Rick Warren endorses ‘breathe prayers’ a synonym for ‘contemplative prayer’ as well as the notion of “vintage Christianity” (i.e. candles, incense, darkened sanctuaries, icons, statues, chants, etc.). Gary Thomas often spoke at Saddleback Church, who also strongly endorses contemplative prayer, and himself quotes Basil Pennington (New Age leader: “The wisdom of the East should be captured by the church”) in his writings! “An underground revolution is sweeping the hearts and minds of the people of the world, and it is happening despite the wars and terror that confront us. This revolution is a fundamental change of worldview, and it carries with it the potential to reorganize the structure of the human civilization. It brings about a basic shift in the thoughts that dominate the world. It wages a peace that will end all war. It is a global phenomenon . . .” David Spangler, a high authority in the New Age movement declares that the human race is a body, and each of us are cells in that body; he also regards the idea of a change in the “cellular structure of the human race” will bring about a global revolution. Re-imagining and Re-Thinking are also terms that Emergents, New Agers, and now (formerly) biblical evangelicals are all using to describe what the church needs in our modern day that gels perfectly well with a revolution which Rick Warren subscribes to, as well as Leonard Sweet, and Brian McLaren, Marianne Williamson, and Neale Donald Walsch. It’s strange how someone as supposedly fundamental, and evangelical as Rick Warren, whose books are regularly purchased by Bible believing (or not?) Christians can hob-knob with not just one, or two, but several of people well known in New Age and Emergent Church Movement circles. How can we reconcile this dichotomy? That question may not be answerable. We shall continue this article in a third, last installment, coming up soon!